Ghost Pepper Jelly is made with Ghost Peppers, or Bhut Jolokia, one of the hottest peppers on the planet. 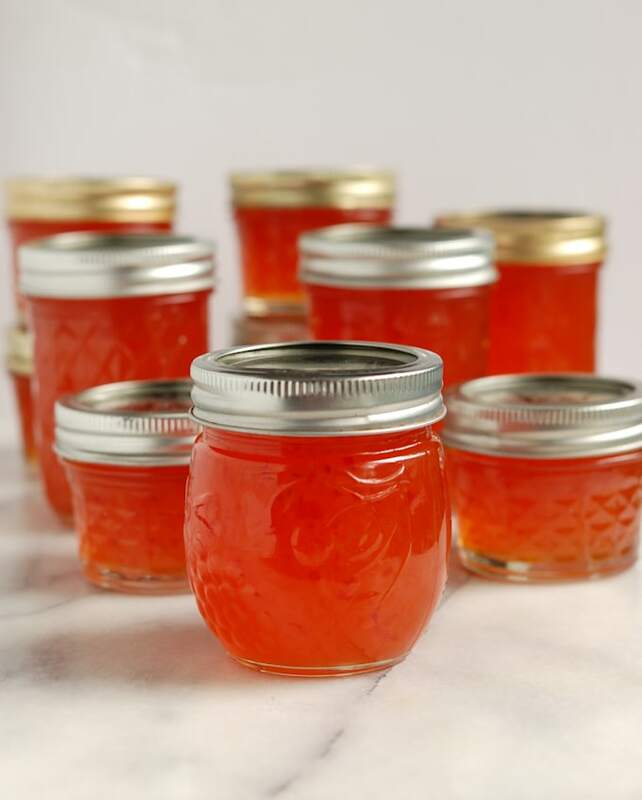 Tame the heat of these firecrackers by making a delicious hot pepper jelly. If you love hot and spicy foods this is a recipe for you. 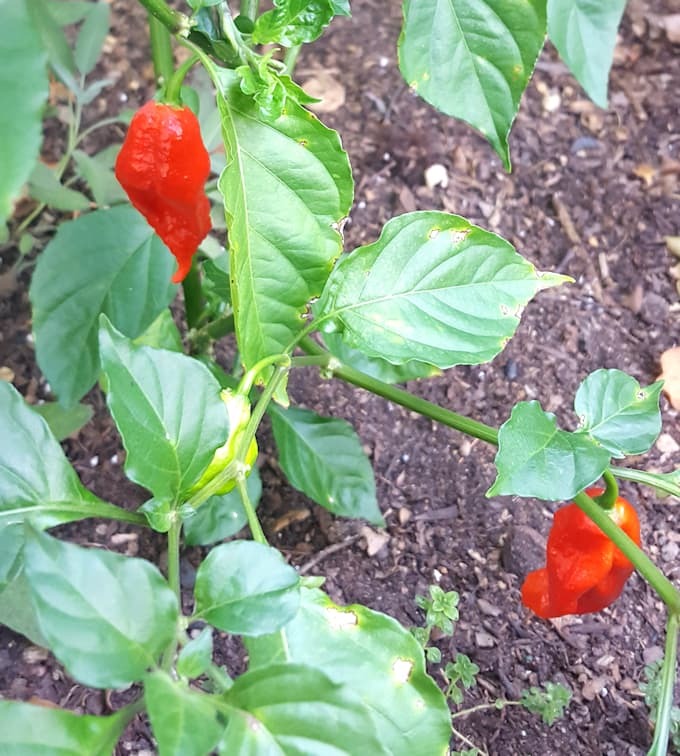 I get lots of hot peppers in our farm share, but I’ll often plant one bush of a super-hot peppers in our home garden just for fun. This year I planted a Ghost Pepper (Bhut Jolokia) plant. Just how hot is a Ghost Pepper? Ghost Peppers were the hottest pepper in the world until being dethroned in 2011. The Carolina Reaper is the currently the hottest of the hot. I’ve never tasted a Carolina Reaper, and I’m not sure I ever want to. A Ghost Pepper clocks in at about 1,000,000 Scoville heat units. Scoville is the scale for measuring the heat in a hot pepper. As a reference point, jalapenos usually rate about 1,000-20,000 Scoville units. Hmmm, I’ve got loads of hot peppers, what should I do with them? To tell the truth, I was a little afraid to make a curry with the peppers, and if I used one to make a curry (and I’d be afraid to use more than one) what would I do with the others? I like hot food, but not so hot that I can’t taste the food. So I decided to make Hot Pepper Jelly with my little harvest. 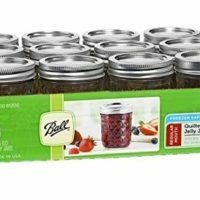 I love the sweet-hot combination, and jelly is a great way to preserve the peppers to enjoy later in the year. 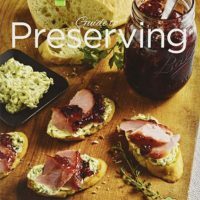 Check out my Pickled Jalapeno Peppers and DIY Chipotle Pepper recipes for more ways to preserve hot peppers. Ghost peppers are pretty, but super hot. When working with Ghost Peppers gloves are a must, and goggles are not a bad idea. 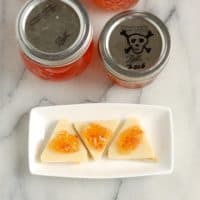 How to make Ghost Pepper Jelly! Ghost Peppers are really, really hot. I highly recommend wearing gloves, and I even wore goggles to avoid getting juice or steam in my eyes. Believe me, you don’t want to put your face over the boiling pot of jelly and breath it in, yikes!! I used a combination of ghost peppers and sweet bell peppers cause I’m too chicken to eat a jelly made from only ghost peppers. Use whichever ratio of sweet to hot peppers that you’re comfortable with. 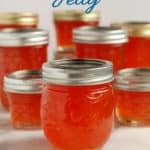 Make sure to follow the times listed in the recipe for cooking the jelly, especially once the pectin is added. If you don’t cook it right, the jelly might not set properly. Check out the Ball Canning website for detailed instructions on water bath canning. Got Habaneros but no Ghost Peppers? No problem, the type of hot pepper is interchangeable. 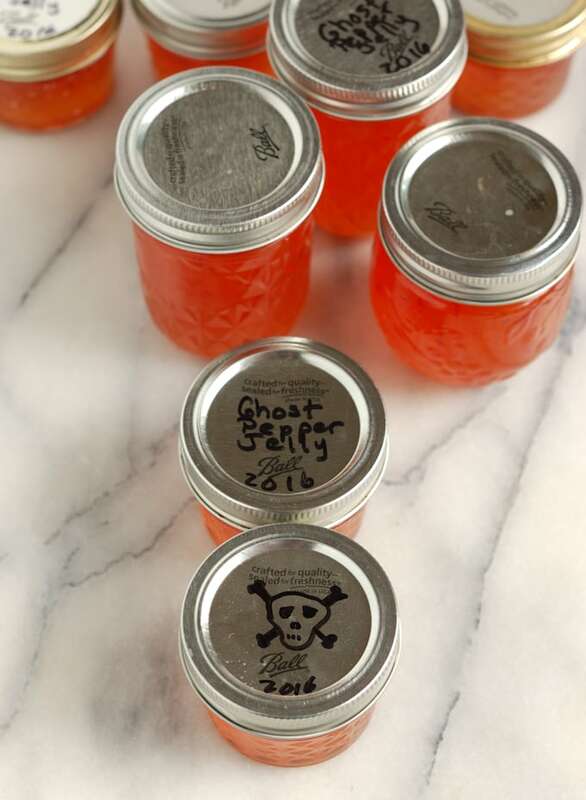 Habanero Jelly would be just as delicious as Ghost Pepper Jelly. Puree the peppers with some of the vinegar. Be careful, the jelly can boil over very easily (mine did). Don’t breath in the steam, it burns. 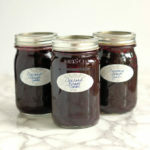 A canning funnel makes getting the hot jelly into the jars much easier and neater. Wipe the rim of each jar with a damp paper towel. Bits of pepper on the rim might prevent the lids from sealing properly. Process the jars in a water bath for long-term preserving. My Ghost Pepper Jelly has a nice flavor and a manageable heat level. I’ve tried the jelly on cheese and crackers, on a peanut butter sandwich and we even used it as a condiment for breaded pork chops. I also put some Ghost Pepper jelly in my Peanut Butter & Jelly Sandwich Cookies and in Peanut Butter Mousse Pie. WOW, so good!! I think Ghost Pepper Jelly in a pretty jar, wrapped with colorful ribbon, would make a lovely holiday or hostess gift. If you love this recipe as much as I do, please consider giving it 5 stars. Ghost Peppers, or Bhut Jolokia, are one of the hottest peppers on the planet. 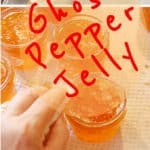 Tame the heat of these firecrackers by making Ghost Pepper Jelly. 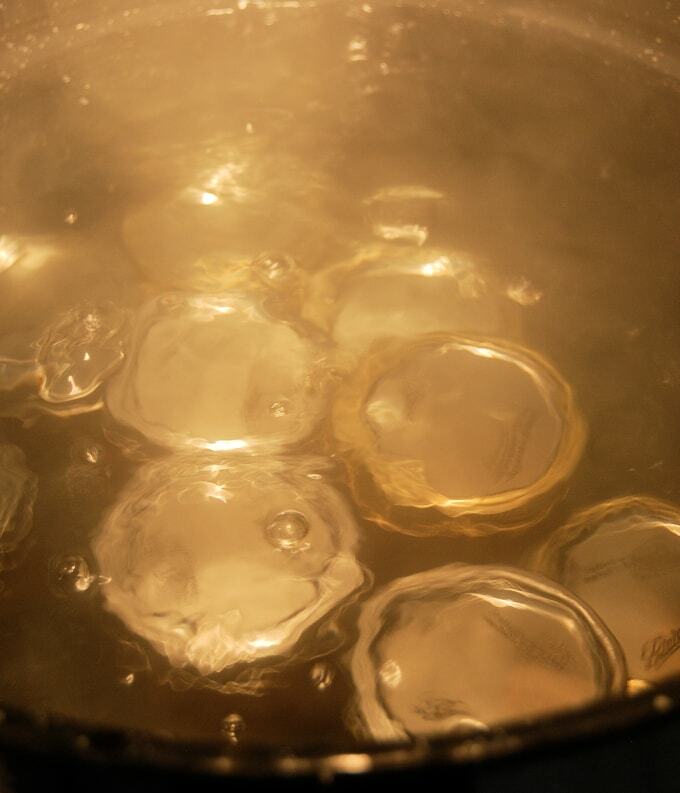 Sterilize the jars and lids by boiling for 10 minutes or running through the "sterilize" setting on your dishwasher. 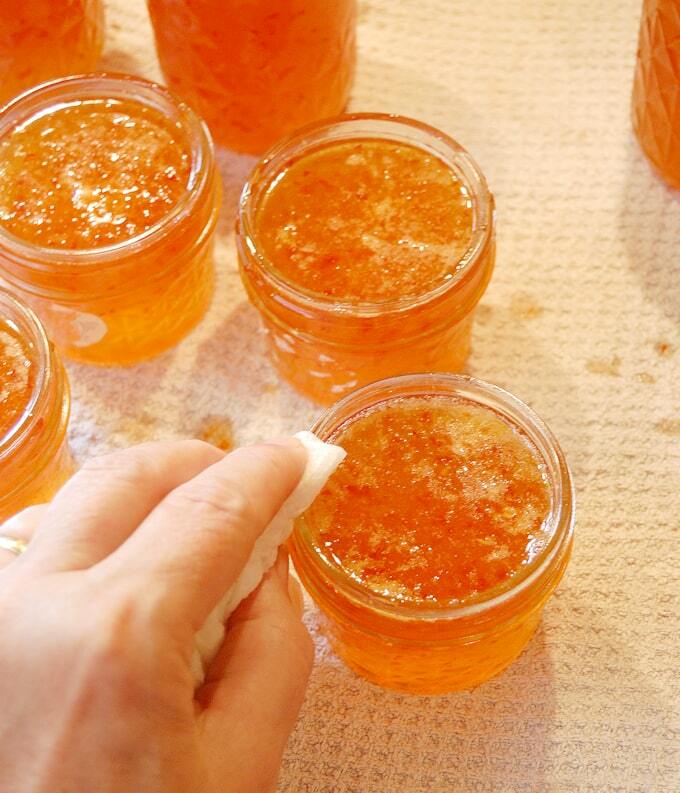 Set warm sterilized jars on clean kitchen towel while preparing the jelly. Put on gloves! Ghost peppers are hot! Stem, seed and roughly chop all the peppers. 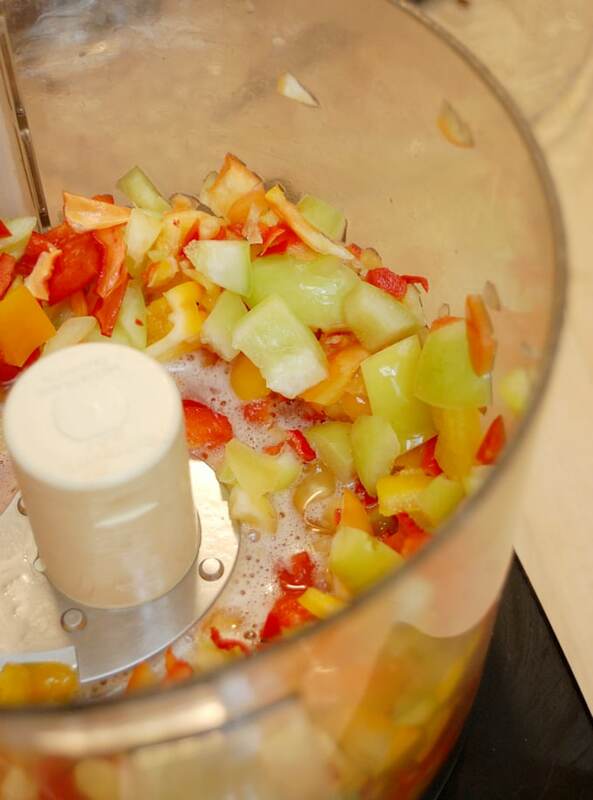 In a food processor or blender, puree the peppers with 1 cup of the vinegar. Combine the puree with remaining vinegar and the sugar in a saucepan. Bring the mixture to a boil (be careful not to breath in the steam or get it in your eyes!!!). Boil for 10 minutes, careful it can boil over. Stir in the pectin, return to a boil and boil 1 minute, keep stirring. 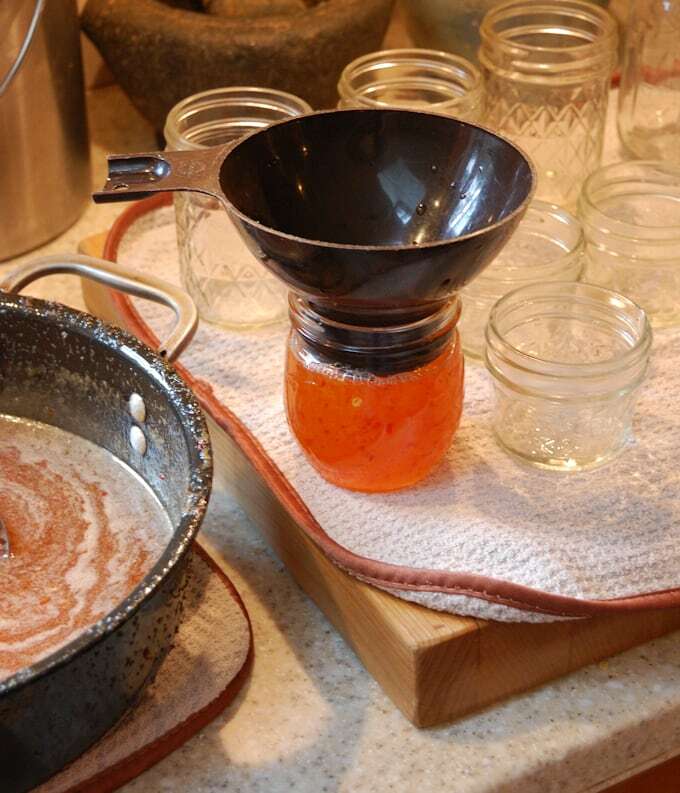 Ladle the jelly into the sterilized jars, leave 1/4" head space. Wipe the rims of the jars with a clean, moist paper towel. Place 2 piece lids on the jars (don't over tighten the screw top). Process in hot water bath for 10 minutes. 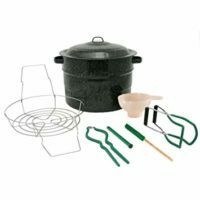 See the Ball Canning Website for detailed instructions on water bath canning, sterilizing jars and other important information. I don’t normally comment on recipes, but I just have to say that this is THE BEST pepper jelly! It’s spicy and flavorful. I get compliments every time I serve it! Thanks, Heather!! I love it too. I’ve used it so many ways. On sandwiches, on pork chops and (my new favorite) in Peanut Butter & Jelly Cookies. Thanks for visiting. 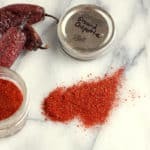 I was lucky enough to stumble over this recipe last fall as I was given a few ghost peppers and was looking for ways to use them. Awesome accolades were given from all who tried this, I spent the rest of the year fending off would be ghost pepper jelly thieves.. Although I did end up sharing many jars with friends and family, I’ve also passed this treasured recipe to many lovers of the heat. 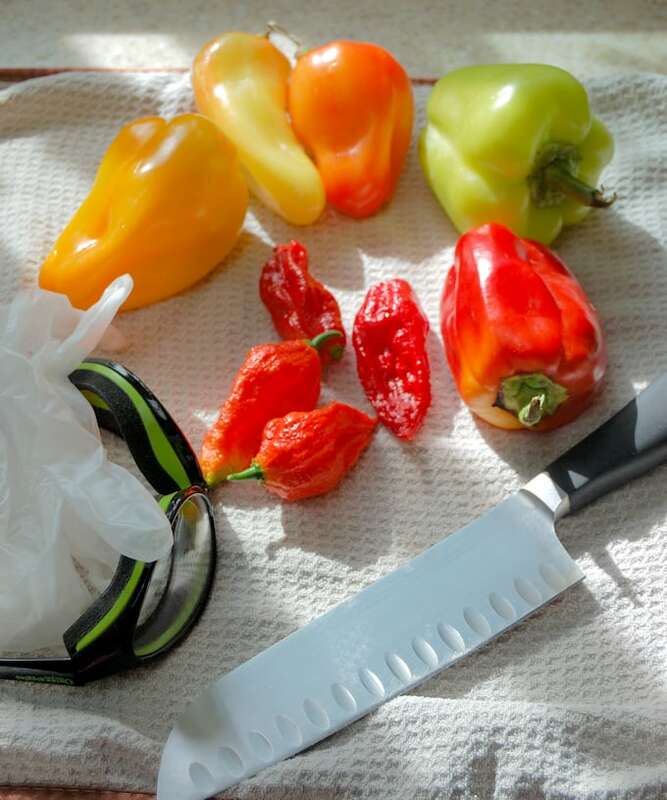 This year I grew my own Ghost Peppers as well as some Carolina Reapers, and as I get ready to make a good sized batch this year to share and devour myself I just want to thank you for taking the time to post such a detailed recipe. 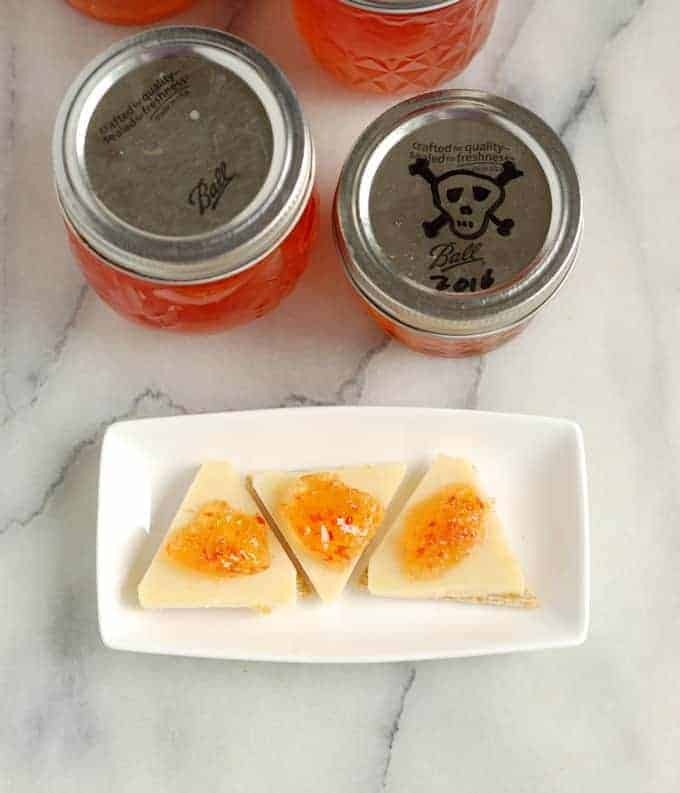 I’ve used it with rice, eggs, ribs, chicken wings, cheese and crackers, garlic bread, a dollop in soup…bottom line this Ghost Pepper Jelly goes with anything you can imagine where a nice sweet heat is needed. Thanks Rick. Personally I’m a little afraid of the Carolina Reaper.Are they really that hot? By the way, I also like the Ghost Pepper Jelly on Peanut Butter & Jelly Cookies. So good. II have made and eaten Carolina Reaper jelly using 5 and another time 12 peppers- the 5 pepper receipe is really good, the other is hot but tasty and serves well with cheeses and meats for those who enjoy a hot jelly. o used green bells for the 5 pepper and red bells for the 12 pepper one Makes great holiday gift. My wife and I just made a batch of jelly using this recipe, we used datil peppers instead of ghost peppers. Super delicious!! Thanks! I just made a batch using Serrano peppers. I’ve never heard of datil peppers, have to look them up. Hi! 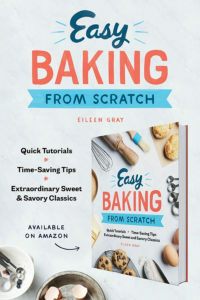 I love this recipe and like others, have a hard time turning down those asking for a jar. I was wondering if powdered pectin can be used and if so, what alterations need to be made. Hi Debbie. Yes, you can use powdered pectin. Replace the two pouches of liquid pectin with 1/4 cup of powdered pectin (that’s 2 tablespoons per pouch replacement). 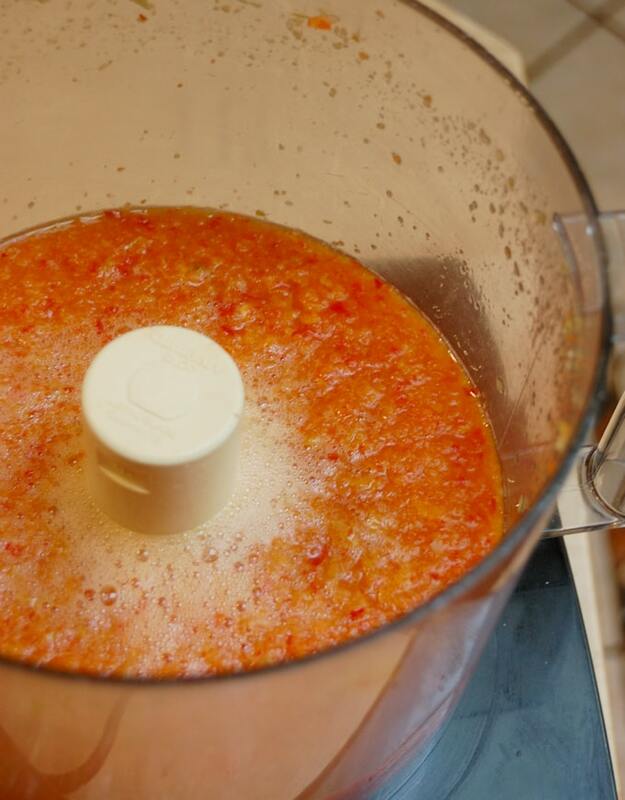 Add the powdered pectin with the pepper puree and the vinegar to the saucepan. Bring the mixture to a boil. Boil for 2 minutes, stirring constantly. Add the sugar and bring the mixture back up to a full boil. Boil hard for 2 minutes, stirring constantly. Hi! 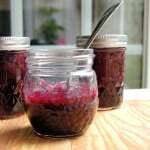 I’ve never made jam before and I followied the instructions perfectly when I made this recipe last night, but it seems to be very runny this morning like it didn’t set in the jars. Any advice? Thank you! 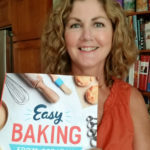 Did you use powder or liquid pectin? 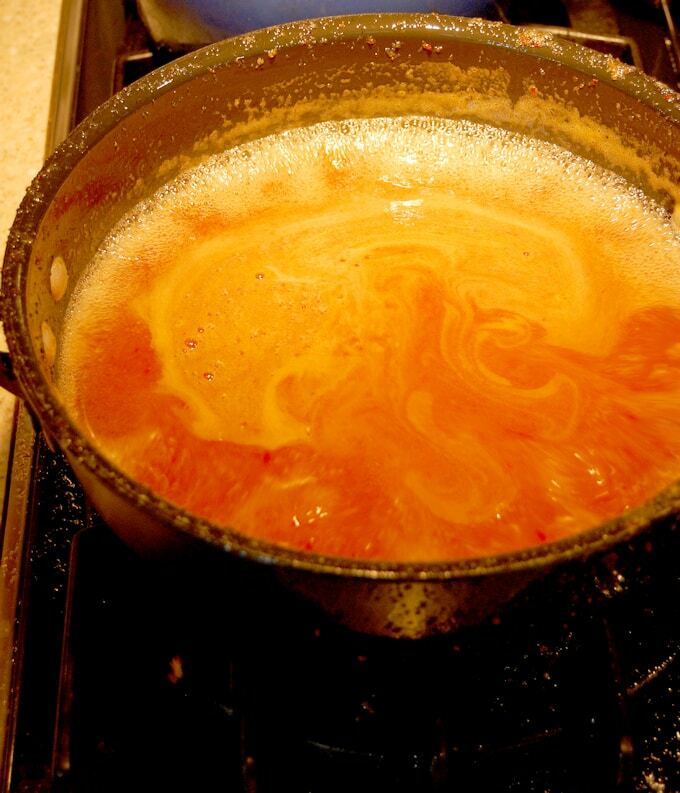 If you don’t boil the mixture long enough with the pectin the jelly won’t set properly. I used liquid. And I do not think I boiled hard enough. Definitely a first time error. Have you ever had this happen before? I’ve seen online that you can reopen the jars and add more pectin and reboil, but I’m afraid it will be overly sweet! Thanks for your advice!! Yes, once the pectin is in you need to bring it up to a full boil and let it go for a full minute. I haven’t tried to reboil the jam. If you have several jars I don’t think it would hurt to try doing 1. 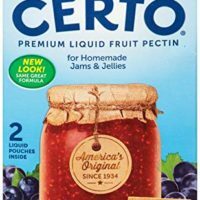 I wouldn’t add more pectin, I would just boil it a little longer and see what happens. Worst thing to happen would be that it wouldn’t set up. 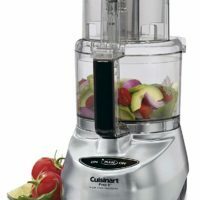 But you could still store it in the fridge and use it in marinades, salad dressing, etc. In fact, I’m using Ghost Pepper Jelly to make a glaze for salmon for dinner tonight. Good luck and let us know how it goes.